Welcome Home!! My name is Webb Jackson and I am the owner of The Traveling Mouse Company. After years of traveling to Disney World and helping family and friends book their trips, I decided to open The Traveling Mouse Company. I took my first trip to Walt Disney World when I was 10 years old but didn’t come back until 2010 when I brought my family of 6. Since that time, I and the family have visited Walt Disney World over 25 times and continue to visit yearly, sometimes more. We take full advantage of the perks of staying on property while enjoying the amenities of the various deluxe properties. One of our yearly visits is always during Thanksgiving week and we have learned how to enjoy Disney with very little wait times at one of the busiest times of the year. We always use the Disney Dining plan and have eaten (more than once) at almost every Disney restaurant. In addition, my family and I have cruised once on the Disney Dream and this summer will be our eighth trip. I am ready to customize your Disney vacation to match your family’s unique needs and budget. As a certified College of Disney Knowledge graduate, I can provide you a personal approach to securing resort and dining reservations, itinerary planning, My Magic + set up with Fastpass reservation planning, as well as providing you my personal insights and tips I have learned from my many trips to Disney to make this a truly magical vacation. Whether it is a trip to Walt Disney World Resort, Disneyland, Disney Cruise Line, Aulani, or Adventures by Disney vacation, I am ready to answer all of your questions. For your FREE no obligation quote, please contact me at webb.jackson@thetravelingmouse.com or online at our contact-us page. Kayra Alt is a Disney aficionado! She is excited and thankful to be part of The Traveling Mouse Company! 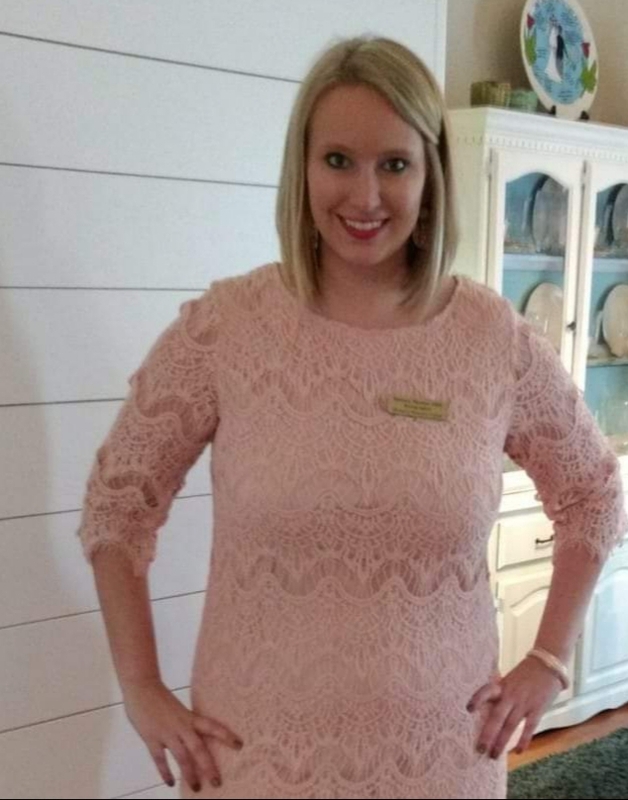 Kayra not only is a Disney planner at heart, but a wife and mother to three children as well. Her love for Disney started as a little girl hugging Snow White in Fantasyland and continued into adulthood watching her children’s eyes light up walking down Disney’s Main Street USA. 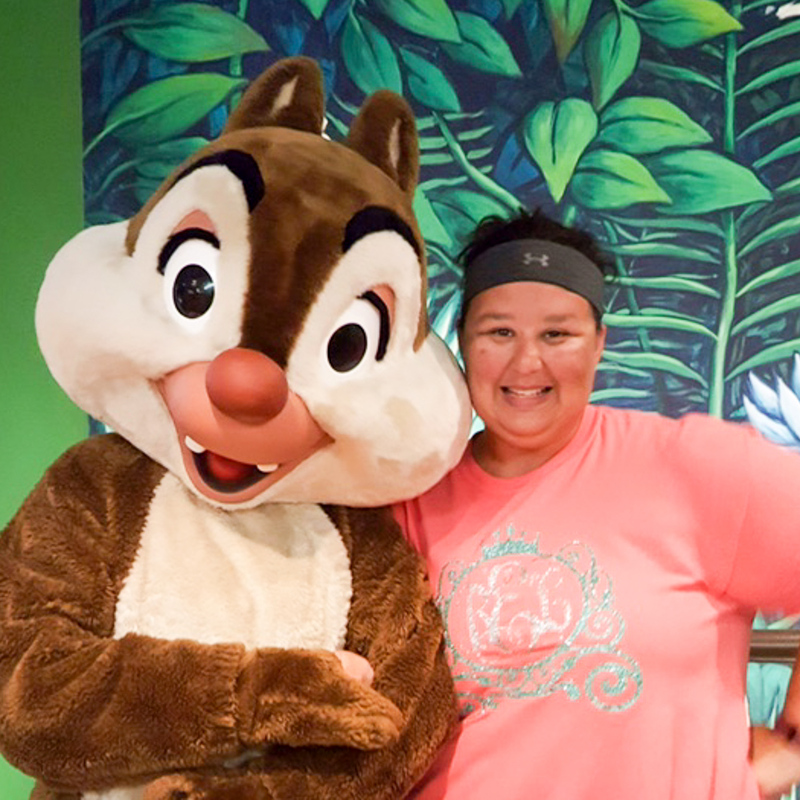 Kayra has experience planning detailed Disney vacations, has gained the knowledge of Run Disney events, and plans for people with special needs and large families. She finds great joy in helping others with small to very detailed preparations for a trip. It would be a pleasure to customize your next magical vacation! Please contact Kayra for a free quote. 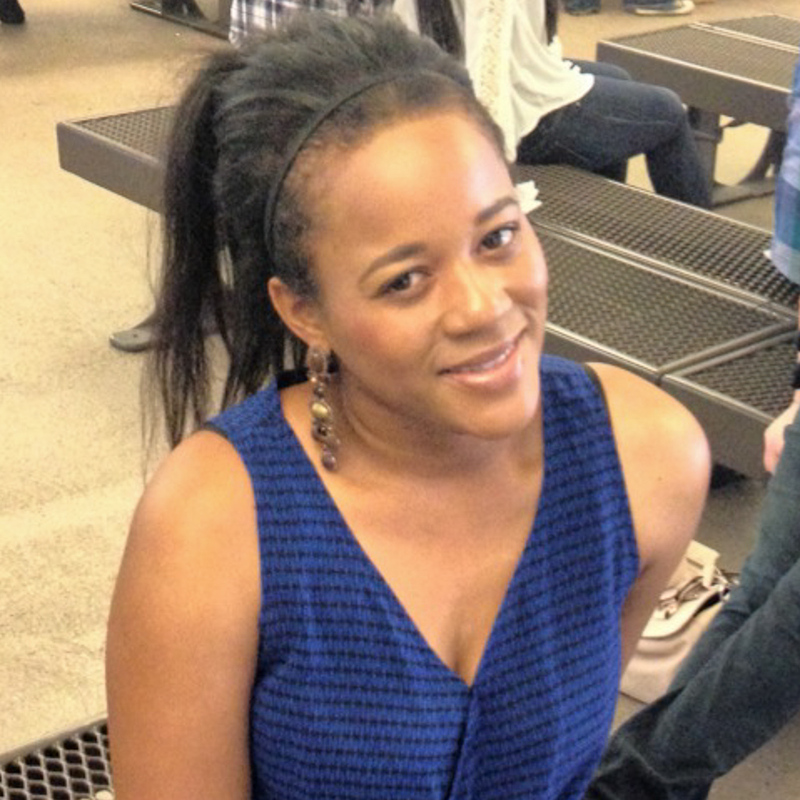 My name is Brandy Jackson and I want to take all the worries out of planning your next dream vacation! Whether it is your first trip to a Disney destination or you’ve lost count like my family, my top priority is making sure you have a stress-free, magical time. As a child, I have many memories of family vacations to Disney and now I get to share and make new memories with my 2 children. With each visit we rediscover the magic in new a whole new way! 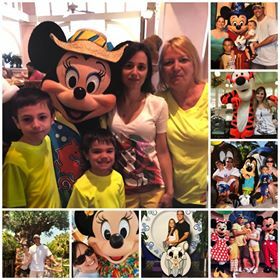 Our family always vacations at one of the many Disney resorts and have visited during various special events such as Epcot’s International Flower & Garden Festival, Mickeys Not So Scary Halloween Party, Epcot’s International Food & Wine Festival and Mickeys Very Merry Christmas Parade. 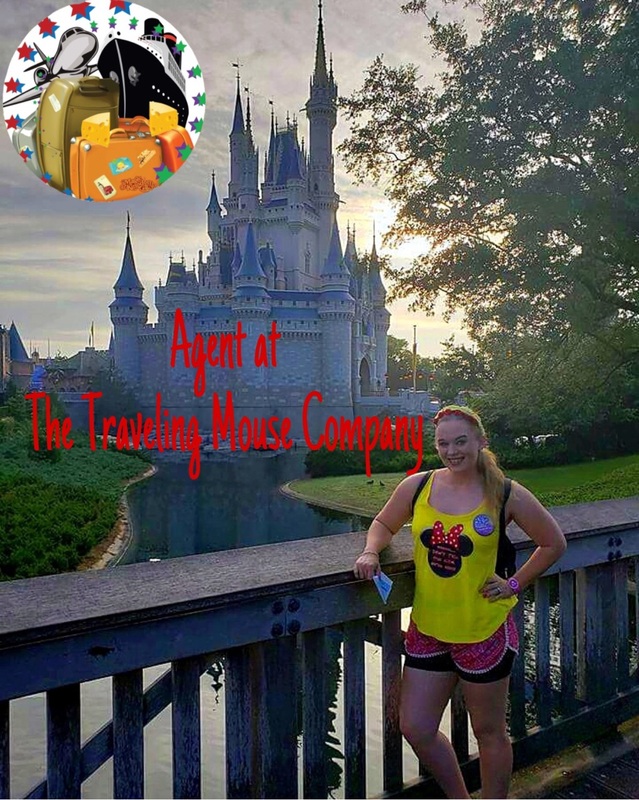 Therefore, I’m often asked by family and friends about our “Disney secrets”, so what better way to share our secrets than to become a certified Disney agent with the Traveling Mouse Company! As a recent graduate of The Disney College of Knowledge, I am beyond excited and ready to help you plan your new adventure on land or sea. You can explore your Disney side with one of the many Disney destinations we have to offer: Disneyland, Disney World, Disney Cruise Lines, Aulani Disney Resort in Hawaii or an Adventure by Disney….the options are endless! It just might be the pixie dust, but there is something about walking through the gates of the Magic Kingdom and taking that first (or 100th ) stroll down right down the middle of Main Street U.S.A.! I want other families to experience that magic because a Disney Vacation isn’t just a vacation; it’s a lifetime of memories! So if you are ready to splurge on Disney luxury, travel on a tight budget, or anywhere in between, contact me for your free quote today at brandy.jackson@thetravelingmouse.com. Growing up in Southern California Disneyland was no stranger to me. My passion for the parks started young, when my family would take summer vacations to the happiest place on earth. Fast forward a few years and I became an annual passholder at 16, just as soon as I could drive myself there! 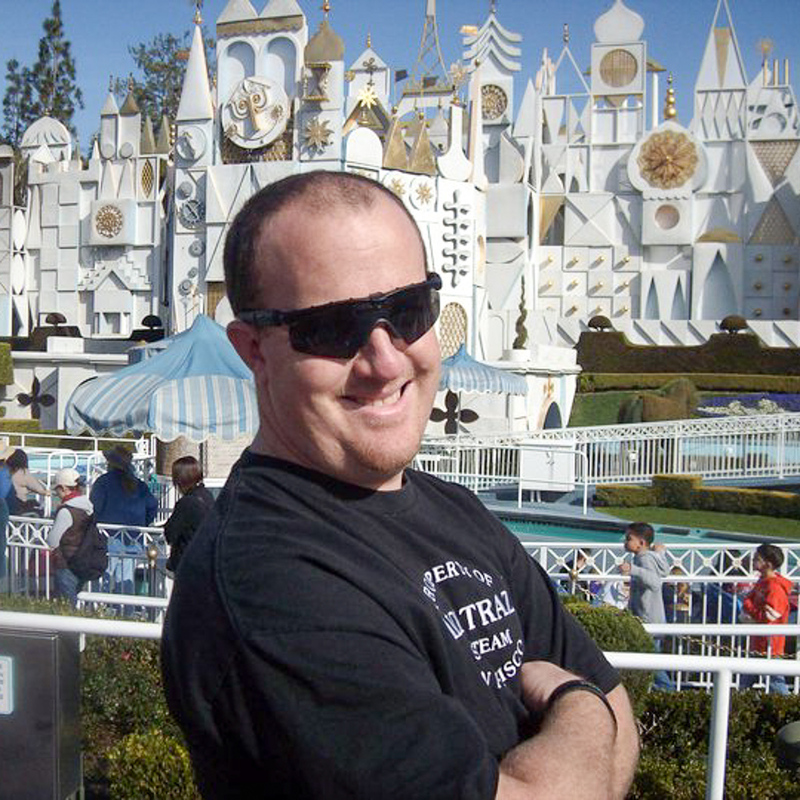 From then on Disneyland became my weekend destination and has been for over 12 years. My Disney dreams came true in 2012 when I was finally able to travel to the one and only Disney World. I was floored by how much there was to do and how much planning it really took to book our trip of a lifetime, and I’ve been hooked ever since. I decided then I wanted to help anyone who might be feeling overwhelmed by the prospect of planning it all. So, when I’m not at the parks I spend my time researching and writing about them for my blog, MySoCalStyle.net. I’ve become an expert through my trips and research, and I can’t wait to put that knowledge to good use helping you plan your next magical vacation! Whether you’re a Disney addict like me, or thinking about your first trip, I’m here to help as much, or as little, as you need. I’ve planned solo trips, couples trips, family trips, large group trips, short trips, and long trips. As a recent Disney College of Knowledge graduate, I’ve got all the answer you may need. Contact me for a FREE, NO OBLIGATION, quote for your next vacation. Welcome to Disney magic! 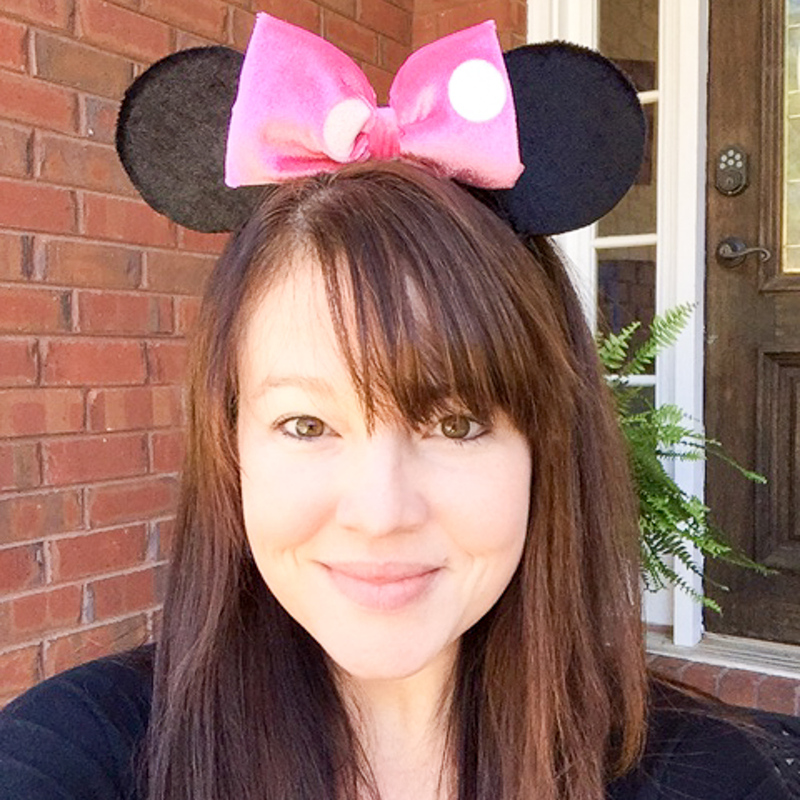 My name is Heidi Lagache and I am a travel specialist with the Traveling Mouse Company. 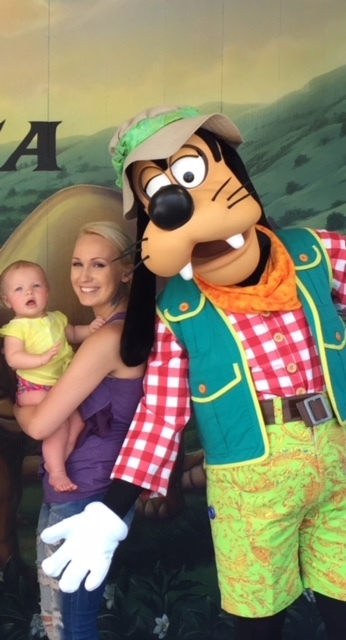 I went to Disneyland as a child several times but didn’t go again till my husband and I took our daughter for her 6th birthday a few years ago. Since then we have gone to Disneyland no less than 3 times, traveled to Florida for a Disney World experience and have cruised to the Bahamas on the Disney Wonder and the Caribbean on the Disney Fantasy. This October, my family and I will be going on the Wonder again for the 2-week Panama Canal cruise and to visit Disneyland again to enjoy the Halloween decorations. While we have not used a dining plan personally, we have spoken with many people who have and are looking forward to helping you get the most of your vacation. I am a certified graduate of the College of Disney Knowledge and I practically live on Disney web sites so if you need to know anything about Disney, I will know how to find out. Let me help take the stress out of planning, whether it’s for Walt Disney World, Disneyland, a Disney Cruise, Aulani Resort in Hawaii, or an Adventures by Disney, I can help make it as magical as you can dream. Call me at (530) 710-1939 or email me at Heidi.Lagache@thetravelingmouse .com for your free, no obligation quote today and let the magic begin! Welcome to Disney magic! My name is Ryan Lagache and I am a travel specialist with The Traveling Mouse Company. I grew up in Southern California, less than an hour’s drive to Disneyland so you know I went there a lot as a kid/teenager. I even worked there for a while as a guide on the River cruise. I have traveled there with my wife and daughter several times the last 10 years and are planning many more trips in the future. 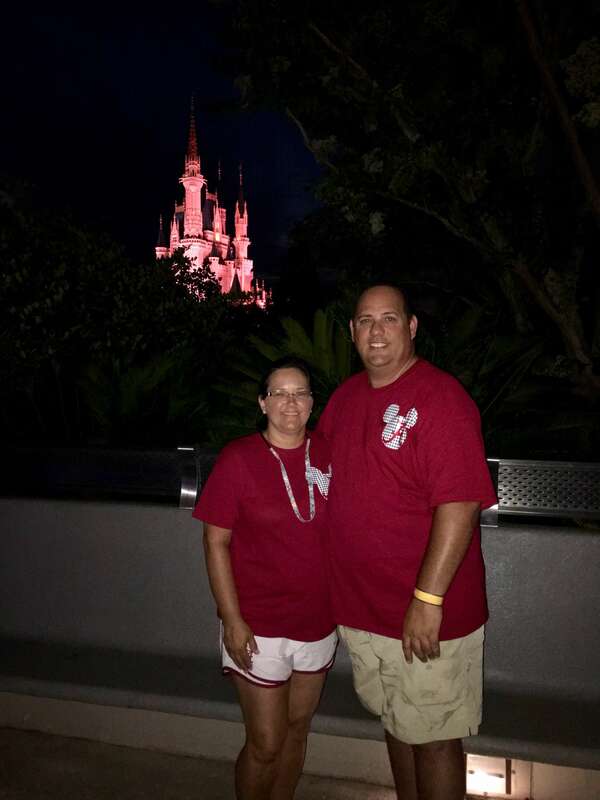 My wife and I are proud members of the Disney Vacation Club and have traveled to Walt Disney World to visit our home resort, the Grand Floridian. We also stayed at the Saratoga Springs and Animal Kingdom. I was there opening day at Hong Kong Disney and visited Tokyo Disney as well. We have sailed with Disney Cruise to the Bahamas aboard the Disney Wonder and the Caribbean on the Disney Fantasy. We sail on the Wonder again this October for a 2-week cruise through the Panama Canal with a Disneyland stop before. Let me help you to plan the perfect family vacation to fit your personal needs and budget. I can help with a trip to Walt Disney World, Disneyland, a Disney Cruise, a visit to Aulani Resort in Hawaii, or an Adventures by Disney trip. Wherever you like to go, I can help you make it a magical experience you and your family will never forget. For your free, no obligation quote call me at (530) 710-1939 or email me at Ryan.Lagache@thetravelingmouse.com. Have a magical time! Hi, My name is Brandy Edwards. I always dreamed of going to Disney as a child. Finally , at the age of 22, a good friend invited me along with her family. I have been a Disney addict ever since. The next year, I was able to take a softball team to play at Disney’s Wide World of Sports for Spring Training. It was such an amazing experience to be able to play at that level and also meet other teams from all over the country. I took part in planning 16 players and their families resort reservations, dining reservations, and making sure they stayed on schedule. My next visit was in 2008 for my honeymoon. We have then been every year since. In 2016, I helped plan several trips for friends and family. I was then encouraged to help others experience the same magic. I’m so excited to get this opportunity to help others plan a perfect family vacation from start to finish. Disney is my passion, and I promise to treat your vacation as if it is my own. I want you to experience the magic ! I look forward to helping plan the most magical Disney vacation. Hi! My name is Ariel Fleming and I am excited to be your Disney Travel Agent. I have visited Walt Disney World many times for family vacations and have felt the “Disney Magic” each time. Each magical experience has always had a lasting impression on me. I’ve been to Walt Disney World nearly 15 times with family and/or friends and I can’t wait to return. As your Disney Travel agent, I will go to ‘infinity and beyond’ to make your Disney vacation extraordinary. Like Mary Poppins said, “In every job that must be done, there is an element of fun” and we will have a ton of fun planning your Disney vacation! I am a Certified Disney Vacation Planner and would love the opportunity to speak with you regarding how my skills can best meet the needs of your family or friends. Thank you for your consideration! My life motto is “Work smarter, not harder!” My goal as your travel agent is to save you time and money on your Disney vacation, and to make it as stress free as possible! My love of all things Disney started when we took our daughters to Disney for the first time in February 2014. Before our trip, I was obsessed with reading everything I could about the parks, the best food to eat, and how to do Disney on a major budget. Even after all my research, we still had so many things to learn once we were there. We had a great time, and I picked up some tips and tricks to use for future trips. After that first trip, we were hooked! 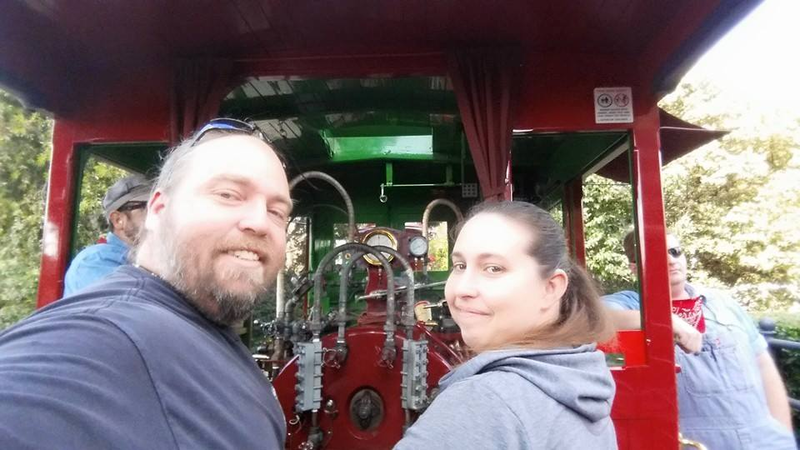 We returned in October 2015 and February 2016, and we are going again this October! I’d like to think we have a pretty good system figured out so that we can maximize our time in the parks and get the most value for the money we’re spending. I’m a planner at heart so it made sense for me to become a Disney travel agent! I am currently helping two of my clients plan their first trips to Disney, and I think I am just as excited as they are! 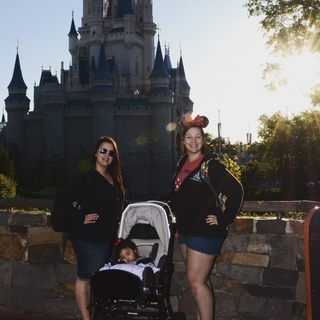 My youngest daughter was only 8 months old and my oldest was turning 5 when we made our first trip, so I’m well versed in doing Disney trips with young children! Disney could be an entirely different experience for a family with older children or an adult-only trip, so I think it’s very important to use a travel planner that has been-there-done-that with small kids in tow! In addition to my personal experience, I am a graduate of the College of Disney Knowledge, giving me insight and training in all Disney Vacation Destinations. I am excited to help my clients enjoy everything a Disney vacation has to offer by making sure all the details are taken care of! 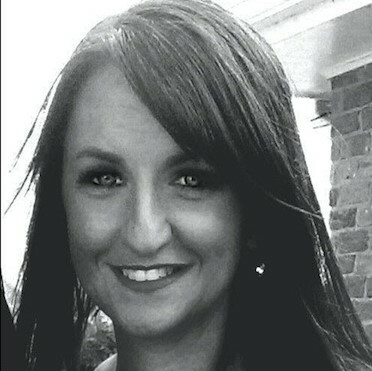 My name is Elizabeth Orfanello and I would love to plan an amazing vacation for you. My goal as your travel agent is to listen to your wants, needs, and plan an amazing trip for you and your family. Whether you are a seasoned Disney vacationer or a newbie, I promise I can help make each trip unique and memorable. My mother has taken me to Disney since my early teens and as I married and have a family I have taken my children since they were all babies. I have been an annual pass holder for years, and with each trip we make sure that we plan something new that we have never experienced before. We have stayed in all of Disney’s resorts except for two and we plan to experience those soon. We recently attended Disney’s Pirate & Pals Fireworks Voyage in the Seven Seas Lagoon. Among other special events we had the pleasure to experience were Epcot’s International Flower & Garden Festival, Epcot’s International Food & Wine Festival, New Year’s Eve celebration, Fireworks Dessert Party, and Mickeys Very Merry Christmas Parade. Friends and family frequently ask me for advice on great places to have dinner, if I have experienced special events, and my recommendation for the best place to stay for their family. I am now excited to be able to share all of my Disney knowledge with you as a certified agent with the Traveling Mouse Company. I am confident with my own Disney experiences, cruise experiences, and recent graduation of Disney’s College of Knowledge, that I can plan an amazing dream vacation for you and your family. I can book Disney World, Disneyland, Disney Cruises, Disney Adventures, and Aulani Disney’s resort in Hawaii. 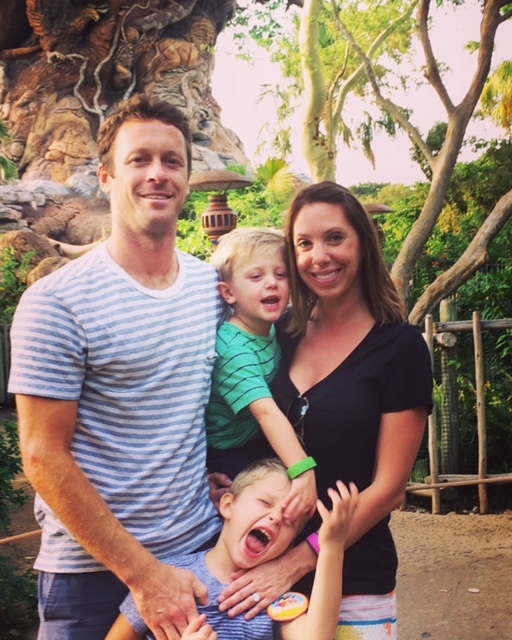 Disney has so many wonderful family destinations that I know you and your family would love. Every time we drive through the Walt Disney World sign, I get a feeling of giddiness. It is a feeling where I get to escape reality for a little while and make many magical memories with my family and friends. Each and every trip has a special meaning and experience. It is truly a place where you can go to learn, relax, and to enjoy the magic of memories. If you are wanting to plan a trip and want to splurge or you are on a budget and not sure what you can afford, I can help you get the most for your money and time. I can customize a trip for you down to the very last detail. Please contact me for a free quote at Elizabeth.orfanello@thetravelingmouse.com, call or text me at 850-529-3608. I look forward to planning for you. As a former Walt Disney World cast member, my heart has been split in two since I left the College Program in 2007. I continued as a seasonal cast member until 2012 and have learned how to make the most out of all that Disney has to offer during multiple trips each year. Walt Disney World offers something for everyone, but certain things will be more important to your family than others. I can help you determine these must-dos, find the right hotel and decide how long to stay while also suggesting dining, fastpasses and even how you can plan your day. The most important thing is that you enjoy the trip and make amazing memories — the rest is a bonus — so please use me as a resource before and during your trip. I’ve picked up some tips and tricks along the way. I’m also obsessed with the upcoming destinations and special events for Disney Cruise Line and Adventures by Disney, and I’d love to share them with you. For your FREE no obligation quote, please contact me at Lindsay.Mott@thetravelingmouse.com or call or text 251-463-2781. My mission is to help you experience the most magic with little effort. Hi! My name is Kimberly Jefferson and I love Disney!!!! I have been traveling to Walt Disney World since the age of 4. I have been there at just about every age level and am ready to help you plan your next magical vacation. I have stayed at all levels of Disney Resorts and am able to help you decide on which one is best for you. I continue to travel to Disney at least once a year, sometimes twice and I believe that this keeps me very knowledgeable in helping you plan your trip. I have been during regular season and I have also been during holidays. I know all of the in’s and out’s as they say. I am able to help you plan your trip, personalize it to your needs and I will be there with you not just from the start but available to you during your trip at any moment. Resorts, dining, rides, fast passes, dining plans, all of the must do’s. I can make sure that you are part of it all and never miss a thing! In addition to my Disney knowledge, I have received my certification in Hotel Restaurant Hospitality Management from Mississippi Gulf Coast Community College. Give me a call or send me a message. All you have to do is let me know exactly what you want, sit back and I will be happy to plan a magical experience that you will remember for a lifetime! For your FREE no obligation quote, please contact me at Kimberly.Jefferson@thetravelingmouse.com or call or text 251-404-3185. My name is Michelle Woodruff and I am a mother of 4. I have 2 grandchildren, and am a certified Disney fanatic! Having a large family can create some unique challenges when planning for the Magic that is Disney!! Those that know me can tell you that “Disney is my happy place” and is indeed the “Happiest place on Earth”. When I was provided the opportunity to become a certified Disney travel agent, it was a dream come true! I became inspired to become a Disney travel agent when my family, along with my parents, took a trip to Disney World in 2007. We had the time of our life making special memories together! A little over a year later my mother went to be with the Lord unexpectedly. My youngest son was 7 years old at that time and is now 17. He still talks about that trip to this day. I would not trade that vacation for anything in the world! Building memories with family is priceless! 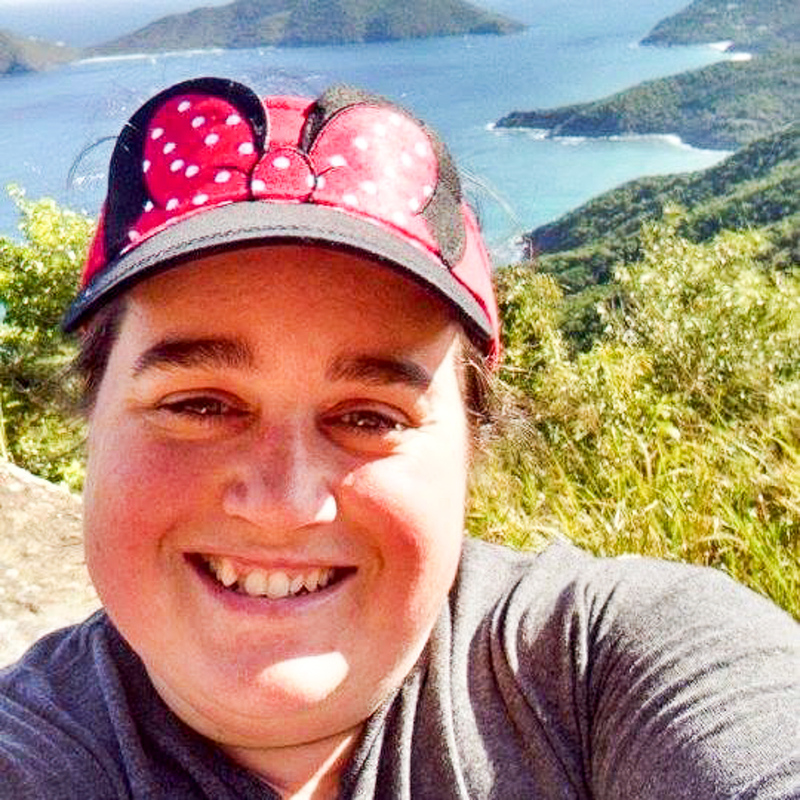 As a Disney travel agent, my specialty is helping travelers design a trip that fits their size and budget. Whether staying on site at Disney, or you prefer other alternatives, I can help you create your “Dream come true”. These services are no additional cost to you, just support to help you plan your perfect Disney vacation. 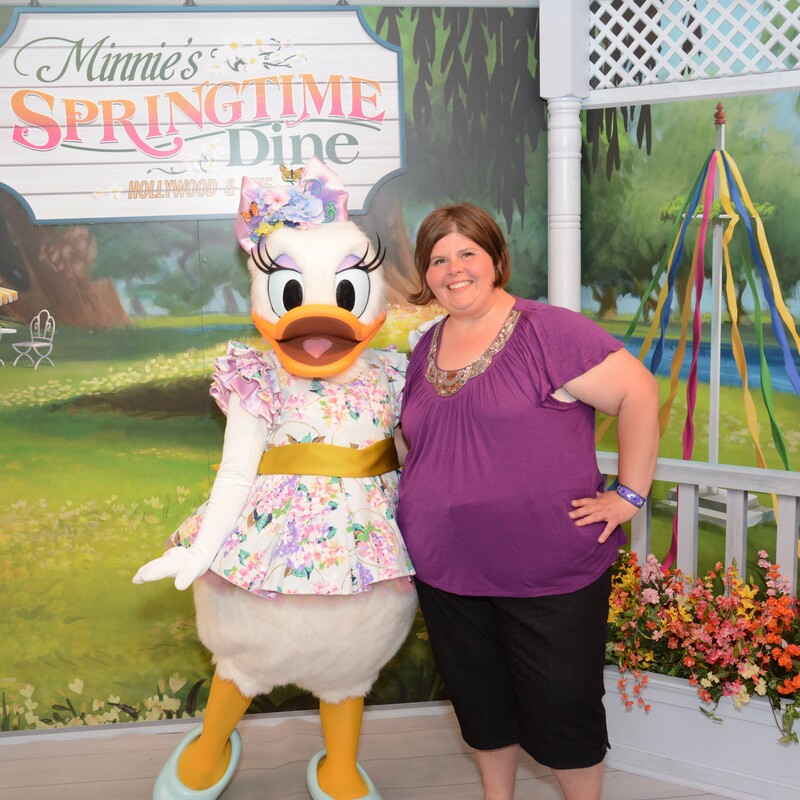 I can assist you in any area of need……travel arrangements, fast passes, and dining reservations are all Disney vacation necessities that I can handle with ease. Trips to Disney World, Disneyland, Disney Cruise line and Adventure’s by Disney are all included in the services I can provide, as I am also certified through the Disney College of Knowledge. I look forward to working with you to design the trip of a lifetime. Everyone deserves to have as many “Magical Memories” with their family as i have had the opportunity to make with mine!!! For your FREE no obligation quote, please contact me at Michelle.Woodruff@thetravelingmouse.com. Hello, my name is Chris Houtchens. Like most, my Disney experience started on the big and small screen. At age 6, I was able to experience Disneyland and the characters of movie and television became bigger than life. At age 12 I was able to visit Walt Disney World for the first time. Even as a tween, the Magic was still there but I was able to appreciate the visionary and entrepreneurial spirit of Walt himself. By age 17, I was able to experience Disneyland 4 times and WDW twice. Sadly, being an adult got in the way and I didn’t return. One day, my 5 year old daughter looked up at me with that "Disney excitement"when she saw a Disney Vacation commercial. Her look brought back my memories. I told my wife, another Disney fan, that I was taking us to Disney World for Christmas that year. As we walked through the gate onto Mainstreet and saw the tree, Minnie and street performers, my wife and I were transported back to our childhood after a lifetime removed from our last trips. My daughter was now inside all of her shows and movies, just as I was when I first went to Disneyland. From that point on, we have not looked back. Now we take 1-3 trips to Disney World per year, hold annual passes and are Disney Vacation Club members. We have brought our parents and they get to turn into children as well. That moment my family experienced on Mainstreet is why I joined The Traveling Mouse Company. I want to help guide your family to a lifetime of memories. Be it your first trip or a return trip, I’d like to help make your visit the most magical possible. As Mr. Disney himself said, “All our dreams can come true, if we have the courage to pursue them.” Contact me for a no obligation quote and let’s pursue your vacation dreams. For your FREE no obligation quote, please contact me at chris.houtchens@thetravelingmouse.com or online at our contact-us page. My name is Brittany Thomas. 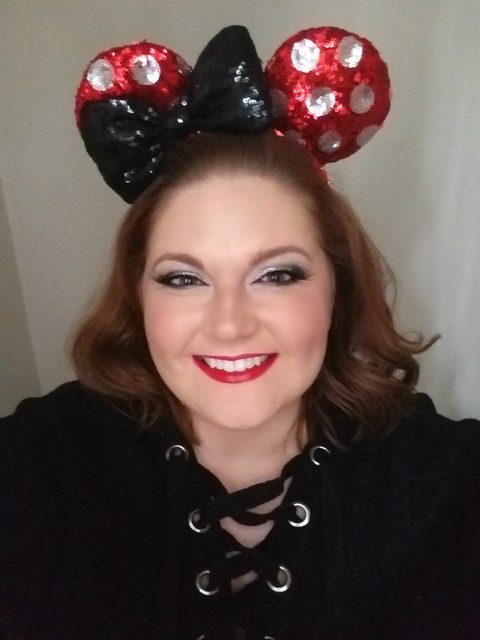 I am a mother of two boys, foster mom and lover of all things Disney! My family and I go to Disney every chance we get because who doesn't want to be at the happiest place on earth? I know Disney can get expensive so my goal is to plan a magical vacation while being respectful of your budget. My satisfaction will come from ensuring your dream vacation is delivered and that you can rest assured knowing all of the planning details are taken care of. 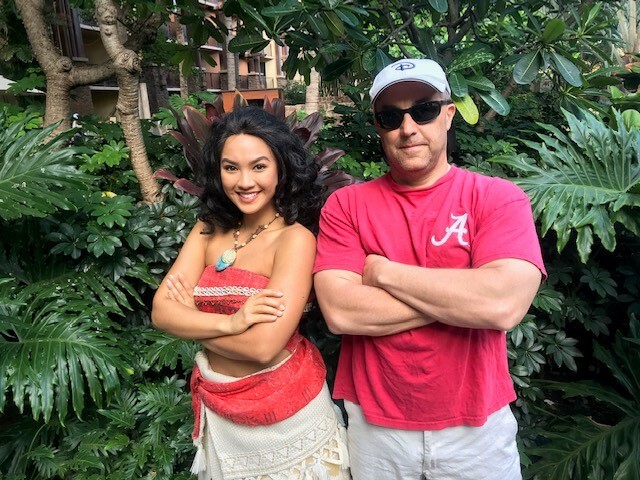 As a Disney's College of Knowledge graduate, I feel confident in helping you pick what is best for your family, whether it is Adventures by Disney, Walt Disney World, Disney Land, Aulani in Hawaii, or an exciting Disney Cruise. For your FREE no obligation quote, please contact me at brittany.thomas@thetravelingmouse.com or online at our contact-us page. My name is Patrick Kennedy and after being stationed at Moody AFB, GA with the United States Air Force, I met and married my beautiful wife. I had a love of Disney before but after getting married I truly understood what it meant to love Disney and feel the Disney magic. We love to take our daughter to Disney, and she has fallen in love with Disney just as much as her parents. 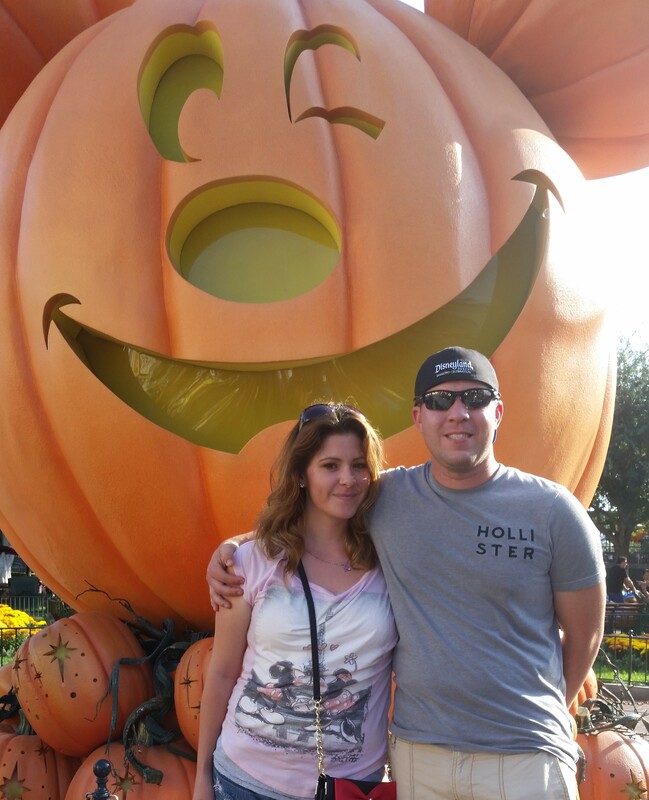 With the close distance to Disney and our Annual Pass, we vist WDW ALOT! 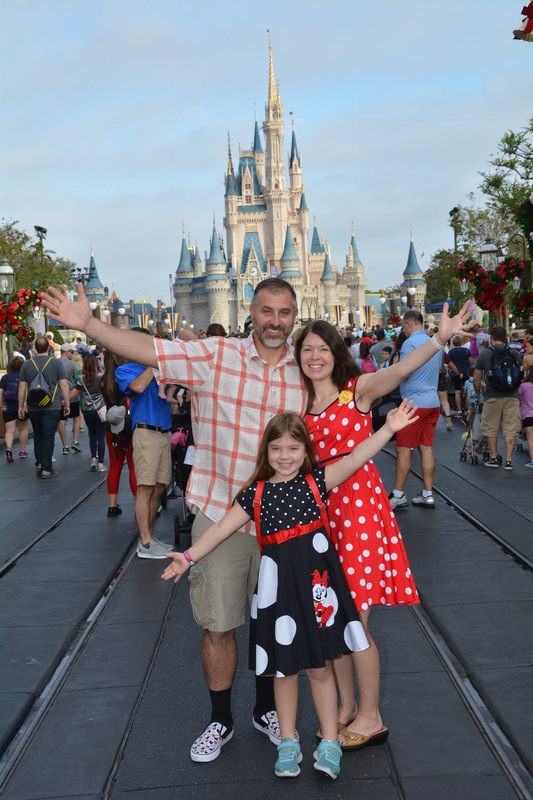 As a Disney travel agent, I want to help you experience the Magic of Disney for that perfect family vacation- whether it is just you or your family. Let me help you plan your next magical vacation ensuring you get to do and see as much as possible during your trip. Thank you for letting me have the opportunity to serve you. For your FREE no obligation quote, please contact me at patrick.kennedy@thetravelingmouse.com or online at our contact-us page. Hey Everyone! Welcome to my laughing place! 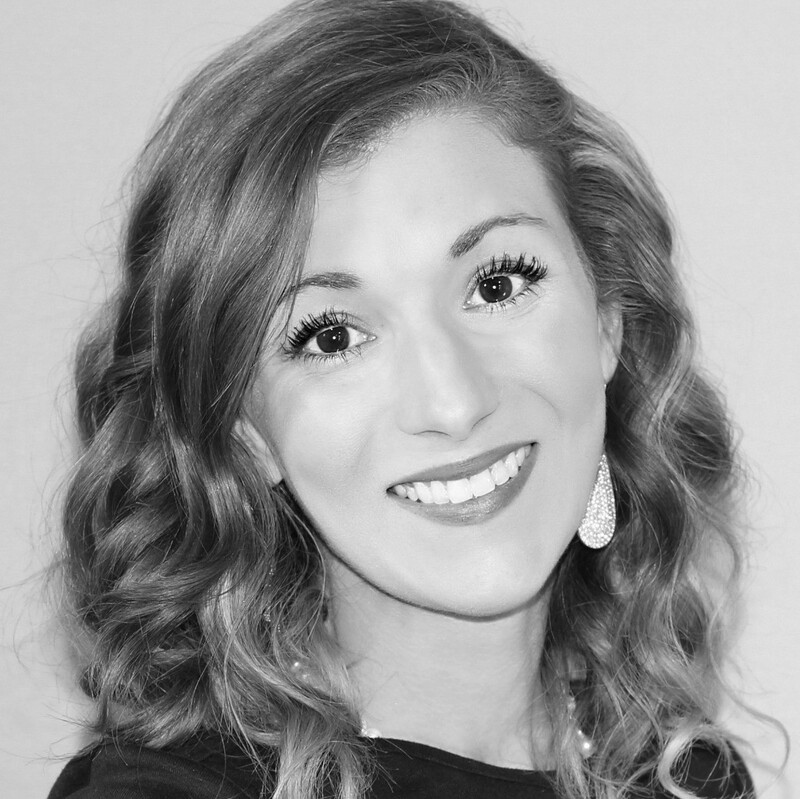 My name is Ashley Scheppe and I’m an agent with The Traveling Mouse Company! I have had a love for Disney from a young age and that love has only grown since becoming an adult and having a family of my own! I have been to Disneyland more times than I can count. I have traveled with big groups of family and friends and have also just taken a couples trip. Being an active duty military family, we have learned to treasure every vacation that we get to spend together. Whether your loved one is coming home from a deployment or an extended TDY, Disney is always ready to welcome you home! Let me help you take the stress out of all the planning so you can enjoy the excitement leading up to your trip! I will share all my tips and tricks for navigating the parks and also let you in on all of my “freebie” secrets! I will be with you from the beginning of your trip until you say “see ya next time!” I’d be more than happy to answer any questions you may have and can’t wait to work with you! Thank you for your service and have a Zip-a-dee-doo-dah day! For your FREE no obligation quote, please contact me at ashley.scheppe@thetravelingmouse.com or online at our contact-us page. I started traveling to Disney as a child and now my husband and I continue the Disney tradition with our own family. I have two small children, ages 4 and 6, and love watching the excitement on their faces the minute they realize we’ve landed at the Happiest Place on Earth! As a graduate of Disney’s College of Knowledge, I am recognized as an individual who has attained a special knowledge of Disney vacations. I have over 10 years of travel agent experience but booking Disney has always been my favorite. Friends have asked on countless occasions for help planning their Disney vacations, which led me to this amazing opportunity. Whether a romantic getaway or a trip with the kids, I would love to help you have a relaxing vacation without all the legwork. For me, the legwork is almost as fun as the trip itself, so let my passion for family, travel, research and planning go to work for you! Please contact me at Rachel.James@thetravelingmouse.com for your FREE quote today! Mon nom est (my name is) Danielle Lockhart! I am beyond excited to finally have discovered my calling in life. I have prayed and done much self-introspection to determine my path in life. 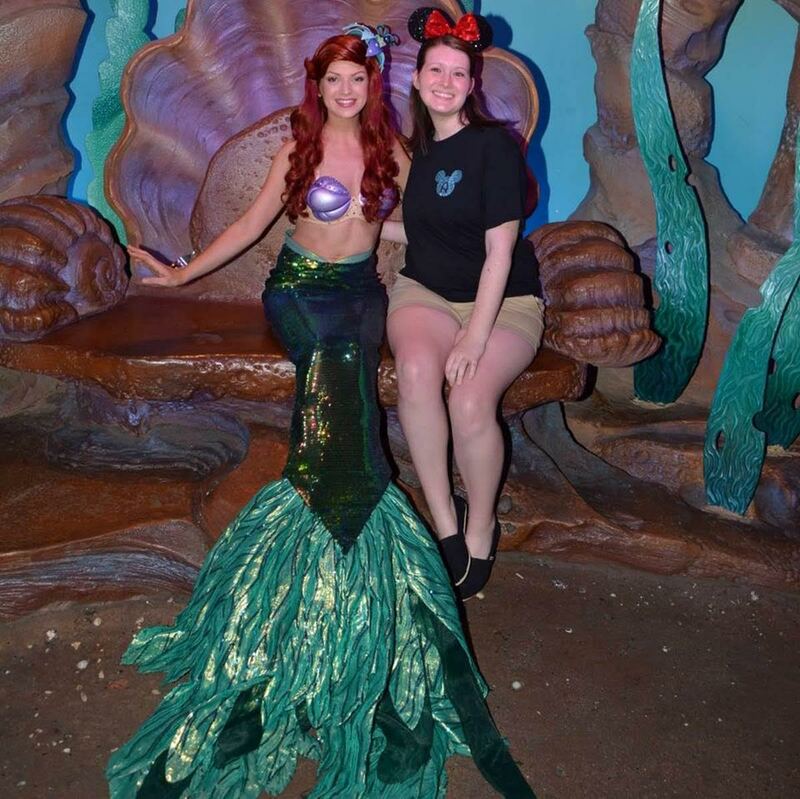 I have always been a Disney fanatic but little did I know it would lead to my calling, which I discovered while visiting Disney World in December 2017! On my visit I saw the magic spell Disney puts on children, adults, and myself. I knew I had to be a part of this fairy-tale! I experienced it as a child but did not realize the scope of the enchanted effect! My goal as a Disney Travel Agent for The Traveling Mouse Company is to ensure that you and your family experience the magic spell. Disney offers once in a lifetime experiences for every age and personality. I will ensure that each person’s wants are represented at their Disney experience. I am a recent graduate of the Disney College of Knowledge and possess the tools to deliver you a once in a life time experience. I promise with the variety of experiences Disney offers you will never get bored and will be back for more adventure! Side note: Who is excited that you can now bring your K9 friends with you to most Disney World Resorts? I know I am beyond thrilled! 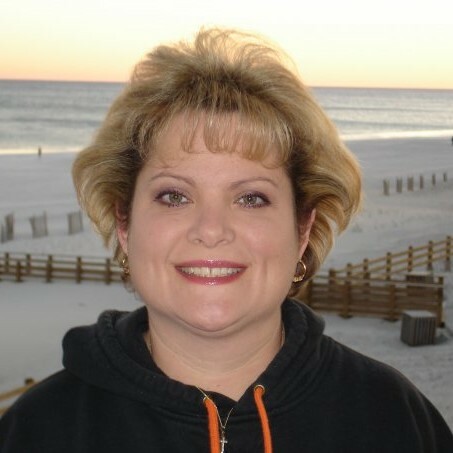 My name is Tami Quigley and I can help make your dream of traveling to the mouse stress free! Whether this is your first trip or tenth, I can help you create the perfect Disney vacation! 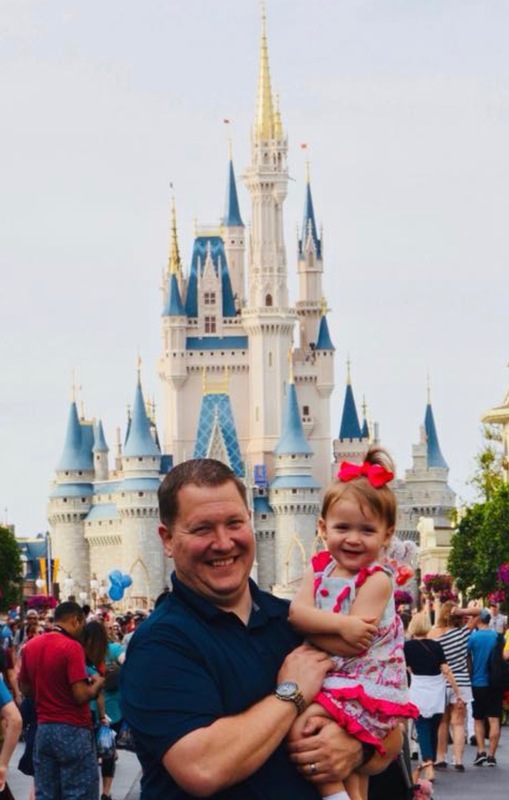 I have fond memories of visiting Walt Disney World as a child, but seeing Disney magic through the eyes of my children is unlike any other experience! Experiencing Mickey's reflection shine through my kids eyes for the first time, while dining at Tuskar House in Disney’s Animal Kingdom, is something that I will never forget and was truly magical! 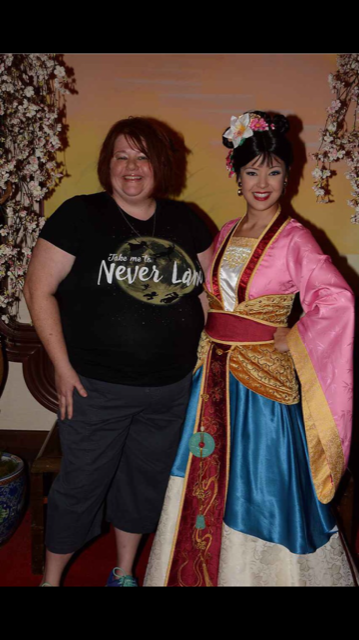 I have extensive knowledge and background of Disney Destinations and have a passionate desire to build upon my knowledge and experience to provide you with a vacation like none other! I’m an avid Disney Destination traveler and have had the pleasure of hearing “Welcome Home” annually or more! Although I consider Disney’s Coronado Springs Resort my “home” resort, I have first-hand experience and knowledge of value resorts, moderate resorts and deluxe resorts with a variety of experiences. I also have experience with Disney special events ticketing and itinerary planning. Disney Destination planning is a craft and I will spend countless hours working to help you make memories that will last a lifetime and spreading pixie dust! My clients receive complimentary personalized services. I value your time, budget and vacation needs. I don’t just want to book a Disney vacation for you, I want to get to know you, build a relationship with you and treat you like ‘Ohana. Your vacation is important to me and you will be given the best value for your vacation at a high standard of exemplary service. I can help you explore Walt Disney World Resorts and Parks, Disneyland, Disney Cruise Line, Aulani, or Adventures by Disney! My services include booking your resort, theme park tickets, transportation, advance dining reservations, magical itinerary planning, Fastpass+ selection, special seasonal events and meeting all of your travel needs. For your FREE no obligation quote, please contact me at tami.quigley@thetravelingmouse.com or online at our contact-us page. My name is Krysta Montgomery and I am from New Jersey. When I was a child my family traveled to Disney every summer. It was always a wonderful thing to see your parents and grandparents turn into children as they walk through the Disney gates. While in my first year of college I applied to be apart of Disney’s college program where I completed 2 internships with them before moving into my full time role with them. I’ve done many roles with Disney. From working food service (ask me about the dining plan!) to the front gates of Magic Kingdom. Working for Disney is like being in a whole new world. The magic is real and it’s a special feeling watching dreams come true to families all over the world. After 3 years of working for the mouse I decided to venture back to Jersey to be closer with family, a very hard decision to make. I’ve made it a goal to still vacation and visit. And I have now made it my mission to help plan vacations and once again make dreams come true for other families. I hope to help you and your family next! After all, it all started with a Mouse! For your FREE no obligation quote, please contact me at Krysta.Montgomery@thetravelingmouse.com or online at our contact-us page. knowledge, or info about movies so I think it's safe to say I love Disney. For your FREE no obligation quote, please contact me at Jonathan.Switzer@thetravelingmouse.com or online at our contact-us page. Welcome to the Magic! My name is Veronica Kinsella, a certified College of Disney Knowledge graduate and travel specialist with The Traveling Mouse Company. After years of traveling to Disney World and helping family and friends book their trips, I decided join the Traveling Mouse Company. My husband took me on my first trip to Walt Disney World almost 20 years ago and I have been hooked ever since. As a special needs mom with almost 20 trips under my belt and almost half a dozen cruises, I have learned a ton of tricks and tips along the way that I cannot wait to share with you. Whether you are traveling with someone with special needs, looking for a romantic weekend getaway or just want to escape with friends, I have done it all and I am ready to help you customize your Disney vacation. For your FREE no obligation quote, please contact me at Veronica.Kinsella@thetravelingmouse.com or online at our contact-us page. Hey Y'all my name is Krystle Partido. I'm a mom to 4 princesses and have been married to my prince for 13 years. My entire family are Disney Obsessed! I have had a huge passion and love for the Mouse since I was little. It was a dream of mine to visit Disney World and now that I have multiple times I knew my dream job would be to give that magic back to you! Whether it's your first ever trip or your 10th trip. I want to help make your first or next one truly special and stress-free. I will take the time to not only find you the best deal possible but will send all my clients my hidden tips and tricks on how to maximize their experience at Disney World by how to take full advantage of the fast pass system to where you will never have to wait in line again! I will also help with getting you the most popular dining reservations and and will even be there during your trip if you need my help. I will only be a phone call away and will put you as my client my number one priority. You can count on me when it comes to making your trip as magical as possible. I will also help with booking Disneyland, Disney Cruise Line, Disney Aulani and Adventures by Disney. So what are you waiting for? Let's start planning the best vacation ever!! For your FREE no obligation quote, please contact me at Krystle.Partido@thetravelingmouse.com or online at our contact-us page. Welcome to my piece of Disney heaven! 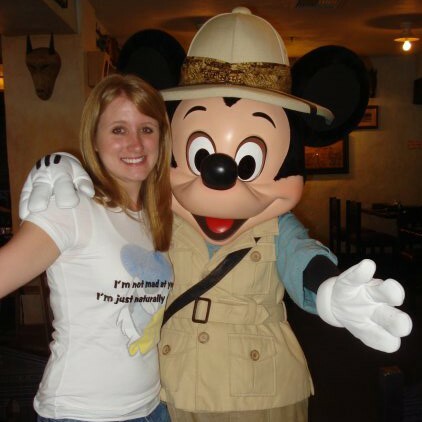 My Name is Michele Snyder and I am a travel specialist with the Traveling Mouse Company. I am a Disney lover to my core! I have always loved the movies and cartoons and really enjoy reading about the history of the parks. I also really love any vintage Disney recipe I can get my hands on! As a child I was unable to go to Disney. 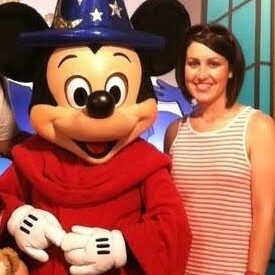 So one of my goals in my adulthood was to take my children to visit Mickey! We made our dreams into a reality in 2015! From the very first moment I stepped into Magic Kingdom I knew that this was where I belonged. It was truly magical. And since then I have been 10 more times! I love everything about Disney. The parks, food, rides, shows, characters, events, parades and of course the FIREWORKS! You'll never see happier faces than those of people watching fireworks above the castle! I would be happy to help you be one of those amazing people watching the fireworks. Reliving your childhood with your children, grandchildren, spouse, friends or family. To take in everything Disney has to offer. To make memories that will last forever. For your FREE no obligation quote, please contact me at michele.snyder@thetravelingmouse.com or online at our contact-us page.